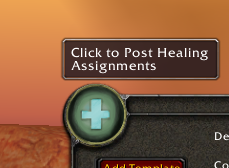 Make easy and fast Healing Assignments, post them in class-colors! all assignments are auto-saved - even if youre log out or alt-f4! important for nostalrius: Posting delay (slow post mode) depends on serverlag - i managed to have 190ms, but save value is 300-500ms! 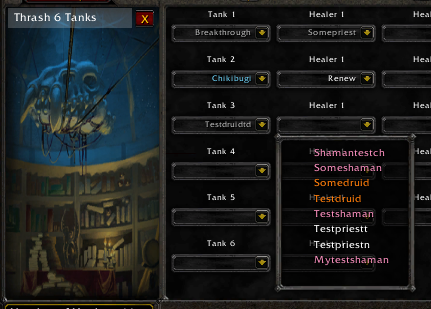 addon has been tested by Murlocbrigade Silberwald on nost so far. or Raiddungeons! You can delete all Templates by clicking on the [X] Button! you cant go back to last Tank to add more Healers! displayed as Gray, Players that left he raid will be displayed as green or red! others will be posted in class colors! assigned healers. This can be usefull if you have at some critical bosses like Battleguard Sartura (AQ40). you can config auto-post channel and colors in options menu! by clicking on the profile-dropdown! You can delete profiles by clicking on [X] Button - there is a max. of 10 profiles! 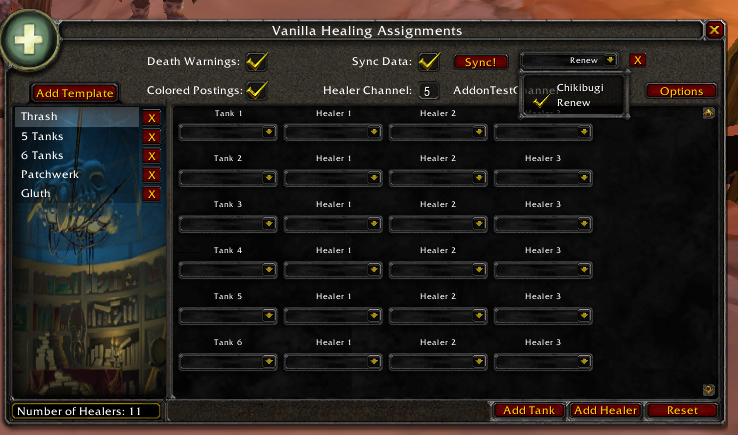 You can edit the Bottom Text (standard is: "Rest: Raidheal") in options menu. Its recommended to test out how fast you can post without getting silence! Players in your raid can trigger you to auto-repost or a re-whsiper of their asignments. "!heal" you will answer him his assigned healers! It is very nice and so amazing your post and I am enjoying reading your blog, I've adored viewing the change and all the diligent work you've put into your lovely home. My most loved was seeing the completed consequences of the stencil divider and the carport. I seek you to have a beautiful rest after whatever is left of 2018, and a glad 2019, companion. Nice article, I like your effort and keep sharing. If any user needs help related to the QuickBooks Online Or Business then it is easy, just contact Our QuickBooks Online Support Number. As nowadays, QuickBooks has a huge number of clients around the globe. Intuit is consistently improving its highlights with its Services. On the off chance that you face any such sort of issues and need assistance, at that point in this circumstance you can contact our Quickbooks Helpline Phone Number through our sans toll number 1844-442-0333. Benefit QuickBooks Help +1 877-715-0222 to dispose of the QuickBooks mistakes whether it be specialized or non-specialized. Our without toll Quickbooks Helpline Number is 24*7 hours accessible to help our Quickbooks clients. Our Support group centers to fix each question or issues of the clients with 100 fulfillment. Achieve our exceptionally gifted specialists at our QuickBooks Helpline Phone Number 1844-442-0333. They are so fit for giving best quality help, in light of their customary preparing programs which are finished with the QuickBooks clients. Learn the most straightforward way to download and install the Office Setup 2019 to the device. Also, ensure its successful activation using the valid subscription of the Office Product Key.